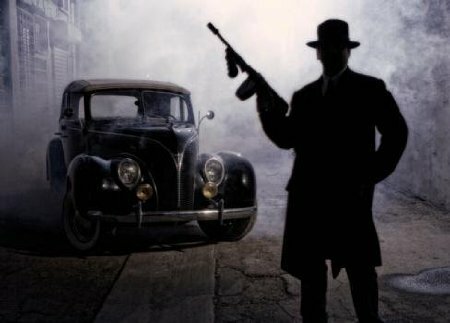 If you’re visiting Chicago, you can’t truly experience the city without immersing yourself in the criminal history of the gangster town. What better way to learn about the city’s shady past than by tracing the footsteps of its most notorious gangsters on a Chicago Walking Tour? Get transported back in time to experience Chicago as it was lived by locals during the bootlegging gangster reign of the 1920s. Our 1.5-mile Chicago Gangster Tour guides you through the locations where some of the most memorable events in Chicago’s history occurred. Fancy a stop at the Chicago Congress Hotel where Al Capone ran his bootlegging operations incognito? Perhaps you’ll be lucky enough to spot a glimpse of his ghost stalking the halls. Our historian guides will dish up the details of Scarface’s colorful tenure in Chicago as he turned increasingly violent towards his gangster competitors whilst making a fortune throughout Prohibition. A divisive figure, he is lauded for his impressive ability to provide people with banned substances and also condemned for his remorseless nature. Our Chicago Gangster Tours and Chicago Crime Tours use compelling information and settings to show how Al Capone became a central figure in American criminal folklore and a crucial piece of Chicago’s historical character. Accurate information is provided. In addition to gangsters like Al Capone, Chicago is known for its infamous fires. You won’t find many buildings older than 1871, when the Great Chicago Fire swept through the city and destroyed most of it. But perhaps a lesser known fire, though appalling in its result, was the 1903 Iroquois Theatre fire. The new theatre was packed with guests and stage performers enjoying an Eddie Foy matinee when a stage light caught fire. The building was soon engulfed, and hundreds of people were trapped inside. Over 600 people lost their lives. The alley behind the theater, now known as the Oriental Theater, has been dubbed “Death Alley” because of the unusually high sightings of ghosts and apparitions in the area. If you’re interested in Chicago Ghost Tours, Death Alley will raise your hair with the sense of someone else’s presence. The Chicago Congress Hotel is also a grand piece of architecture filled with hauntings and unearthly sensations. Rumors abound about the strange happenings within Plaza. Take a Chicago Ghost Tour, if you dare, to find out for yourself whether all the talk is true! No Chicago Ghost Tour or Chicago Crime Tour would be complete without a reference to notorious serial killer Dr. H.H. Holmes, recently returned to the public eye once again by The Devil in the White City, written by Erik Larson. Discover the creepy true story of how Holmes constructed a three-story “Murder Castle” in 1892. Though it fronted as a pharmacy, apartments, and retail space, H.H. Holmes actually built a labyrinth with chutes, trapdoors, and a crematorium where he trapped and murdered an unknown number of women before he was caught and hung for his despicable crimes. Embarking on a walking tour through the Chicago Loop Vice District setting will certainly help you appreciate the characters and events that made Chicago grow into the city it is today. Born in 1899 in Brooklyn, New York, to poor immigrant parents, Al Capone went on to become the most infamous gangster in American history. In 1920 during the height of Prohibition, Capone’s multi-million dollar Chicago operation in bootlegging, prostitution and gambling dominated the organized crime scene. Capone was responsible for many brutal acts of violence, mainly against other gangsters. The most famous of these was the St. Valentine’s Day Massacre in 1929, in which he ordered the assassination of seven rivals. 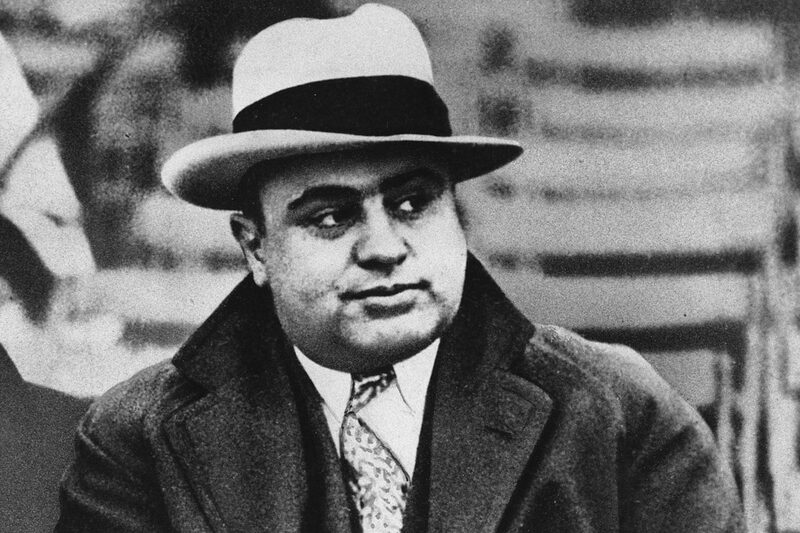 Capone was never indicted for his racketeering but was finally brought to justice for income-tax evasion in 1931. After serving six-and-a-half years, Capone was released. He died in 1947 in Miami. Capone’s life captured the public imagination, and his gangster persona has been immortalized in the many movies and books inspired by his exploits.